Hypno Band Hypnotherapy – Just another visualisation technique! How many times have you seen something that is already well-established, being re-moulded with an attempt to attract a new market? At the heart of hypnotherapy is the use of visualisation techniques to create change. As a practising registered hypnotherapist, I have been a witness to several rehashed hypnotherapy treatments claiming to be the new miracle-cure on the block. Hypno band hypnotherapy is attempting to do the same thing. It is based on the principles of Gastric band surgery; an operation that restricts the amount of food you can eat by reducing the size of your stomach. 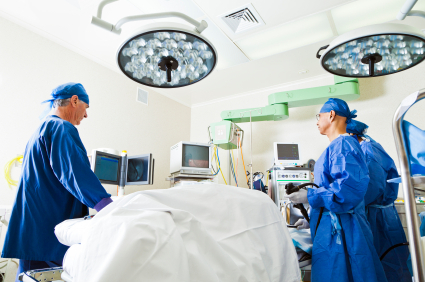 Instead of the actual surgery, you can visualize the process for a fraction of the cost. You can then live your life as if your stomach has been shrunk, imagining that you have had a gastric band fitted. This is what is being promoted anyway! How does Hypno band hypnotherapy compare to a course of weight loss hypnotherapy that has been personalised by an experienced hypnotherapist? In my view, you will benefit much more because it takes into account your individual needs. All that Hypno band hypnotherapy does is offer you a costly programme of regurgitated methods, promoted under a new title. What are the problems of Hypno band hypnotherapy? Hypno band hypnotherapy: Is there any research? When you see something in a newspaper or hear that a friend has benefitted from something, can this be used as factual research? No, it’s nothing more than a dramatised case study. It’s only when Hypno band hypnotherapy research is published in reputable journals e.g. European Journal of Clinical Hypnosis, can any of its “long-lasting” claims be taken seriously. Until then, questions about placebo controls and randomised samples asked to any reported Hypno band hypnotherapy research are likely to be missing. There is no evidence that Hypno band hypnotherapy is any more successful than individualised weight loss hypnotherapy. So unless any recent research has surfaced, any percentage claims of success should be viewed with scepticism. Hypno band hypnotherapy: If the Hypno band hypnotherapy treatment is so effective, why haven’t they abandoned the gastric band surgery? If Hypno band hypnotherapy was so successful, would there be any need for the surgery? When there is a safe, effective and cheaper alternative available to something, most people will chose that option. 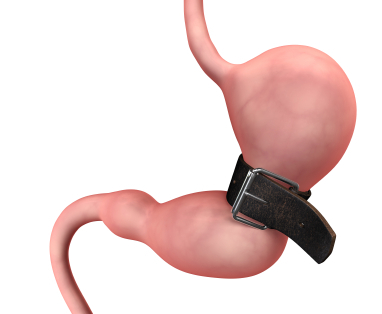 Gastric band surgery costs at least £5000. Since the arrival of Hypno band hypnotherapy, I’m not aware of any reduction in gastric band operations. If Hypno band hypnotherapy was so effective, the NHS would reduce their surgery bill and opt for something cheaper: Hypno band hypnotherapy. Consider also that patients who qualify for gastric band surgery must have attempted and failed with other weight loss treatments. The surgery would be in decline if Hypno band hypnotherapy was proving to be an effective treatment. Is there a decline in these operations? I’m not aware of any decline. Hypno band hypnotherapy: Does one success story mean that everyone can rely on it? It’s so easy for your beliefs to be swayed to buy something when you hear a success story. How often have you bought something when you are desperate, and a friend tells you that it’s a success, only to find out that it hasn’t quite worked for you in the same way? When Hypno band hypnotherapy appears in the press, it’s easy to over-generalise that everyone can benefit by this. If only Hypno band hypnotherapy was like this. One reported incident of success can hide some essential reasons why these changes have or haven’t happened. Maybe these issues weren’t reported or they just didn’t materialise in the therapy process. Inflated expectations can be damaging. In my hypnotherapy practice, “word-of-mouth” referrals are fantastic for business. Having realistic expectations and recognising that every patient is different is also important. When a patient has made a dramatic therapeutic change and they emphasise this to their friends, the friends will enter hypnotherapy with the same inflated expectations. They demand the same outcome as their referrer and usually leave disappointed because they haven’t matched their success. Hypno band hypnotherapy: Regardless of visualisation, are you just being told to eat fewer calories? When you see a newspaper headline saying that hypnosis caused a patient to lose 8 stone in weight, you would think that is was the Hypno band hypnotherapy suggestions that did this. Is it like a stage hypnosis show where participants are hypnotised and are told to imagine that they are wearing a Hypno band and from that consultation, they live their lives like a gastric band surgery patient? In a newspaper article, it reported that the patient had to follow the same intense diet as that adopted by a gastric band surgery patient. It consisted of an all-liquid diet followed by pureed foods and then solids. What was the calorific content of the liquid diet? The article failed to mention this. It’s common understanding that if you eat fewer calories than you burn, you will lose weight. When you are told that you must follow this diet for the Hypno band hypnotherapy to work, you will think that it must be because of the Hypno band hypnotherapy doing the job. It may just be because you have paid for two consultations and now feel committed to following a prescribed diet. In the newspaper article, the Hypno band hypnotherapy patient had a course of ten hypnotherapy consultations. The Hypno band hypnotherapy programme consisted of just three consultations. This suggests that there were a number of other issues that were being treated using other techniques, but this wasn’t mentioned in the article. It could be considered that Hypno band hypnotherapy was not the main focus of the treatment. Having lost eight stone during the course of hypnotherapy treatment was a fantastic achievement. Both patient and therapist deserve praise for their success. The patient will have paid between £700 and £900 pounds for the hypnotherapy course. This is still cheaper than the gastric band surgery, but was it because of the three Hypno band hypnotherapy sessions or the other personalised hypnotherapy sessions? It’s difficult to really know. Hypno band hypnotherapy: Do you need to visualise that you have had a Hypno band fitted? Do you need to visualise that you have had a Hypno band fitted? There are numerous hypnotherapy weight loss scripts. Try Google searching them and you will findsome are written for novice hypnotherapists and some for patient’s self-hypnosis purposes. Visualising that “your stomach feels smaller and you feel satisfied and fuller on less food” is a common weight loss suggestion. It is a basic building block that helps to focus your mind towards your weight loss goal. Added to this could be suggestions about your eating style – “slowly andconsciously” or that your “stomach has shrunk in size”. If you can visualise this then it will have the same benefit as a Hypno band hypnotherapy treatment. Putting yourself through an imagined surgeryjust isn’t necessary to create this change. When you have been trying to lose weight and desperation kicks-in, it’s easy to be swayed by catchy marketing phrases. It’s important to enter any therapy with a realistic expectation that requires some lifestyle changes on your part. This is the case with gastric band surgery; you must still be prepared to change your eating habits or there could be associated problems. Hypno band hypnotherapy is part of a current trend in using a medical procedure and making something “new” for the receptive public. Hypno band hypnotherapy is not being shown to be any more effective than personalised hypnotherapy courses. When it’s advertised that a condition can be treated in a specified number of consultations, it doesn’t mean that it can be treated successfully. There is not a “one treatment fits all” out there, otherwise the NHS would have adopted this method by now. When you have a personalised course of weight loss hypnotherapy it is more likely to take into account your historical relationship with food, your general emotions, current stress and habits that link with your eating patterns. It has the best opportunity to direct you to your personalised weight loss success. Abandon Hypno band hypnotherapy and lose weight with a personalised hypnotherapy course.